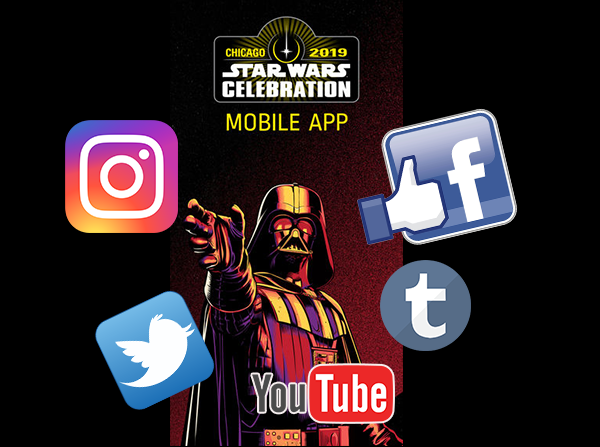 Star Wars Celebration Chicago, the “Ultimate fan experience”, is now on! But what if you can’t attend this year? 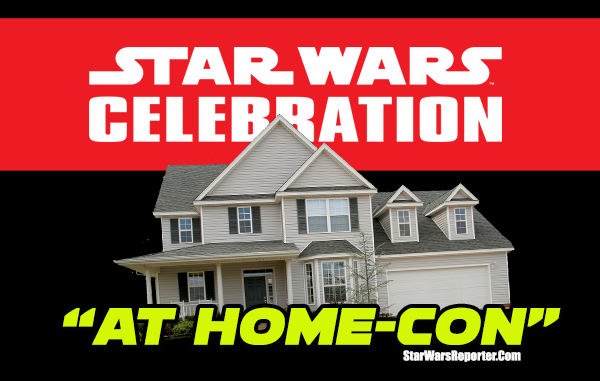 What if you aren’t able to take that pilgrimage to “Star Wars Mecca”? What will you do? You can sulk in your room or you can create your own Star Wars “At Home-Con”. 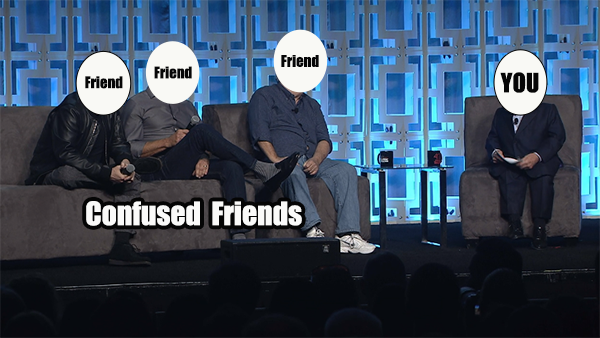 Here are 8 [not so serieous] ideas for fans not attending Star Wars Celebration this year. There is nothing better [if you can’t attend Star Wars Celebration] than laying on a comfortable couch in your pajamas with some delicious snacks to binge watch all things Star Wars. You can do this “Solo” and if you don’t want to be alone like Episode 8’s Luke Skywalker, invite your family and/or friends to join you in the adventure from a galaxy far, far away. People today are too dependent on social media, Smartphones and getting in front of a “screen” for their fun. 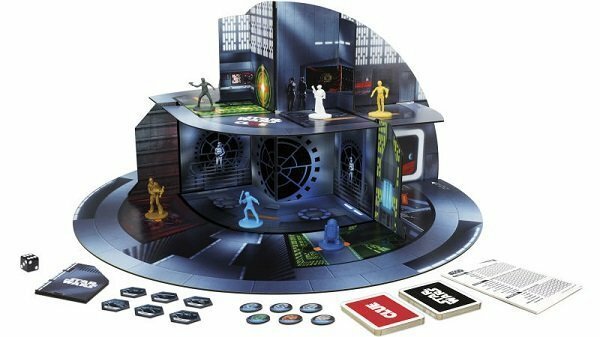 Put down those devices and start up your imagination with Star Wars gaming! This could be getting together with friends for a Star Wars Role Playing Game campaign. Much like the concept of Dungeons and Dragons, make your own Jedi Knight, X-Wing Pilot or even a Wookiee and battle the Empire in the name of the Rebellion! You can also choose to play a boardgame. My family has several Star Wars themed boardgames and I always claim [with protests from my daughters] the “Luke Skywalker piece”! Dad always gets to play Luke is a disputed house rule. Now this isn’t a positive activity to do on the surface but, if you’re intent on sitting in a dark room sulking because you aren’t attending the event this year, why not turn your sadness into cosplay? 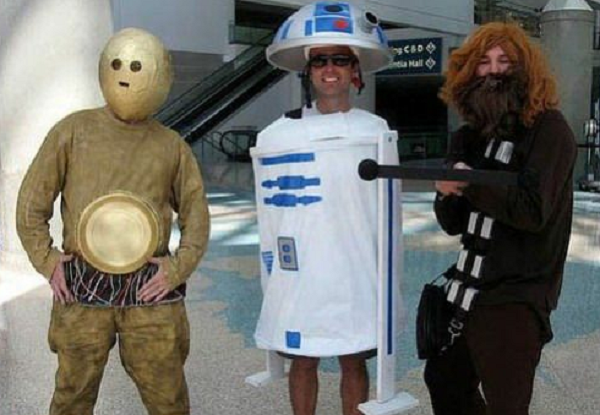 What Star Wars character cosplay would work well in the dark? The Emperor! That’s right! Wrap that blanket you’re using to hide from the world around yourself like an evil robe. You’re crying already so why not make that cry more of a cackling Sith laugh. Now all you need is a place to sit – make an Emperor throne out of an old chair. No chair available or your wife is telling you to “Grow up”? Then make your own out of the cushions of the couch! Not only will you create a large chair to surround yourself in sinister enough but a nice soft place to fall asleep after a nice cry. Can’t meet your favorite Star Wars character? Then make them! Sure it’s not the same but this might work on young children who are disappointed that Dad didn’t plan well enough to go to the event. [Well, not this Dad. A guy I know…] If you have teenage kids, this may be more difficult and result in rolling eyes or dead stares followed by “NOT funny, Dad”. That said, if you get the right craft, you might be able to salvage the day. 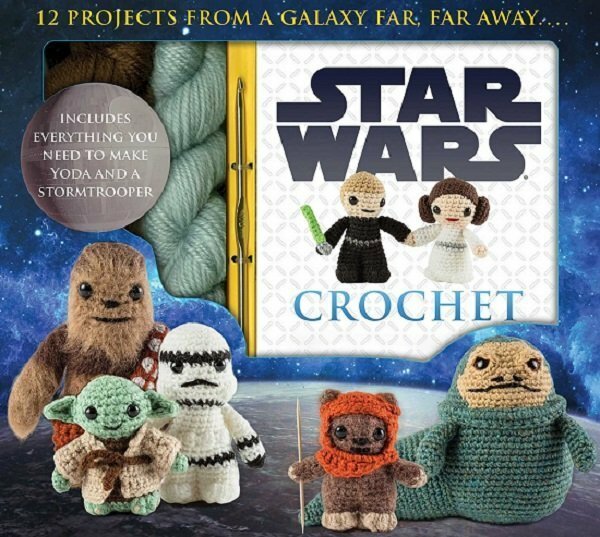 Some ideas include baking Star Wars themed cookies, model kits, LEGO, and even Star Wars Knitting. Yes, knitting. Get that look off your face. Knitting, I’m told, can be a fun and relaxing activity. For someone like ME with A.D.D., not so much. Social Media is an instant way for those attending an event to share the experience to millions of people around the world. Get the latest updates on upcoming films, books, comics and more all in the comfort of your home. Let someone else push through the crowds on tired legs! You can also help the owner of these social media accounts by sharing and interacting with them in positive ways. Keeping with the Social Media theme, why not make your own “Panel” by interacting with your favorite celebrity who is at the event on their social media posts? Use Twitter to connect with your favorite celebrity at the event. See what’s happening through their eyes, Tweet questions (who knows, they may answer). If that isn’t working, convince your family members or friends to pretend to be that celebrity you’ve always wanted to talk to. Now is your chance to talk to “Mark Hamill” and ask him to adopt you! 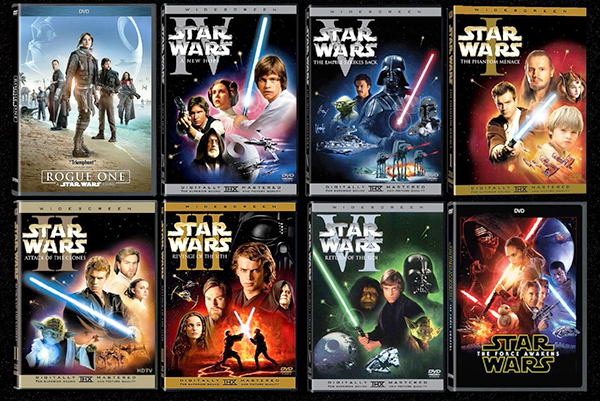 That last one is only for those whose family and friends are understanding of your Star Wars addiction! This is an activity aimed more for something to do with your kids [might not be suitable for teens – see “Star Wars Crafting” for why not]. Even if you don’t own an actual costume, see who can come up with the best costume with whatever you can find around your home. This may also be a fun game for those adults who have had too much to drink! Disclaimer: Lightsaber fighting can be dangerous and should only be conducted by professionals or supervised by your parents. 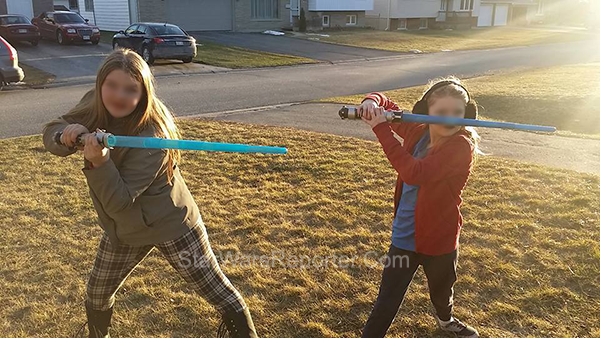 That said, what better way to let off steam in your front yard [and make your neighbours nervous] than to pretend to be your favorite Jedi or Sith and bring a FORCE of pain to your opponent [formally known as your friend/family member]. In the end, the message for those of us not in Chicago is that, Star Wars can be enjoyed anywhere. You just need the right perspective and some good people to share it with.